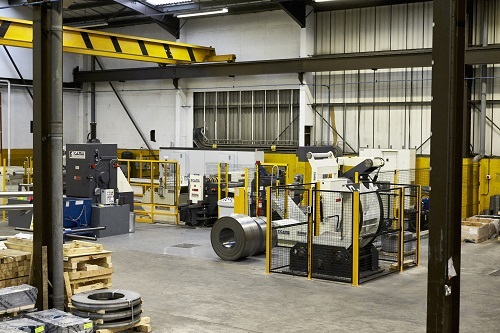 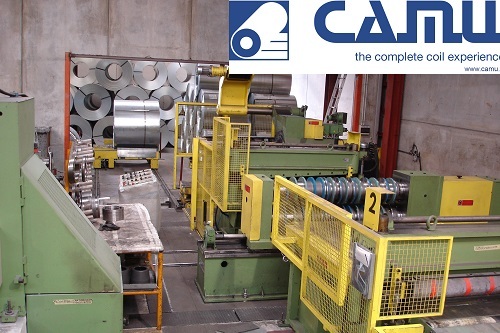 Dedicated to steel service centres and manufacturers that demand reliability and the maximum productivity. 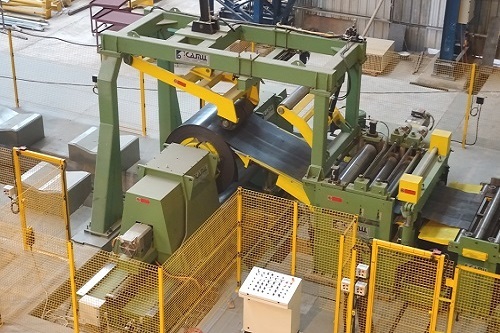 This type of plant is dedicated to steel service centres and manufacturers that demand reliability and the maximum productivity. 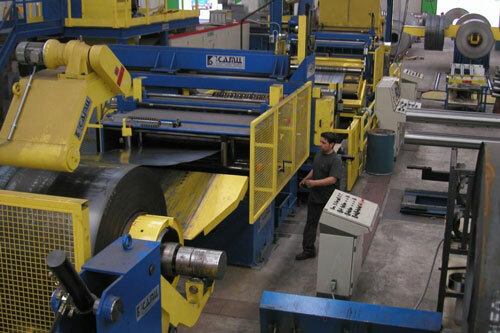 Our production is capable of covering all the clientele’s needs and is divided into categories on the basis of dimensions and thickness of the material to machine and production quantities. 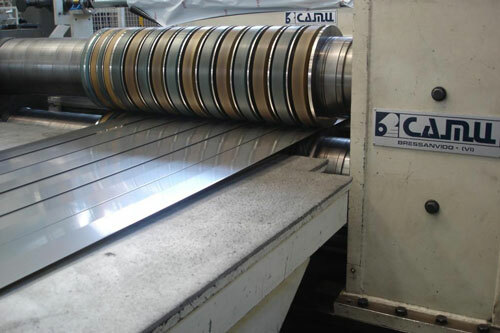 These parameters make it necessary to divide the cut-to-length cutting lines into LIGHT, MEDIUM and HEAVY. 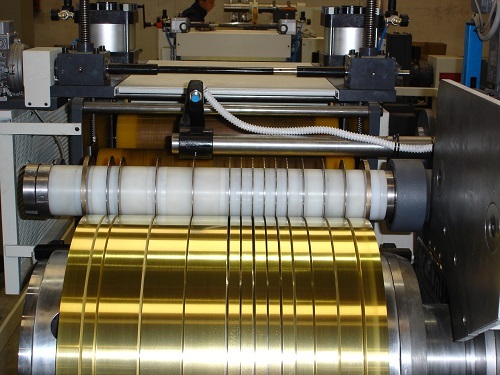 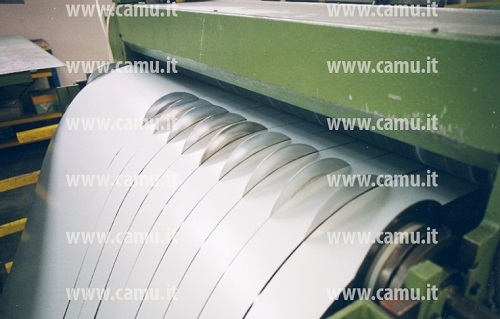 The slitting lines are therefore able to work thickness from 0.2 mm to 16 mm with working speeds that range from 20 to 350 m/min depending on the needs of the specific customer. 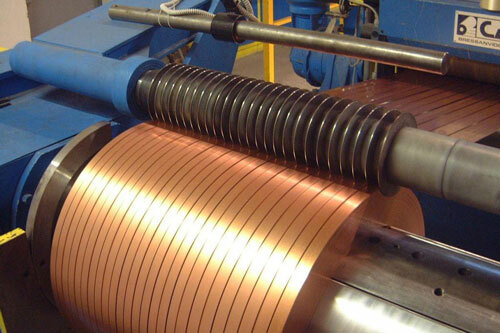 decoiling from coils, trimming, slitting and recoiling the coils. 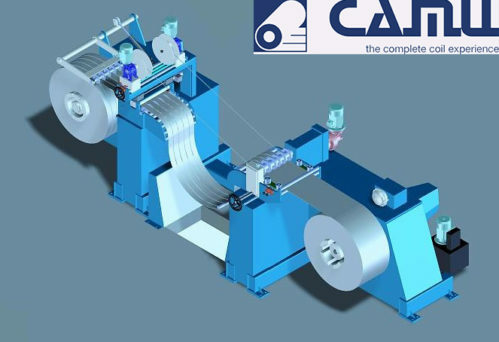 These types of mini slitter are longitudinal cutting lines able to cut and recoil with precision metal strip of thin thickness. 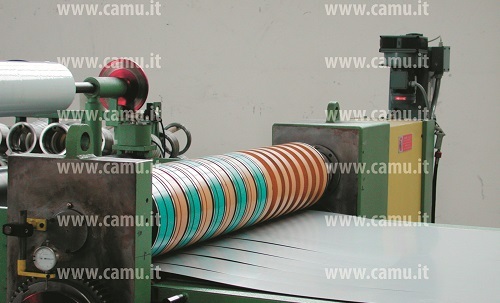 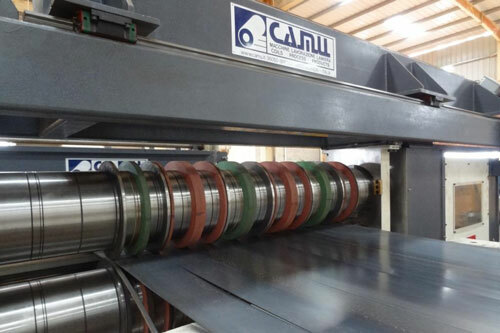 They are specifically designed to cut thin strips from thickness 0.05 to 1.5 mm and width from 3 to 500 mm into strips with an external coil diameter of 750 mm. 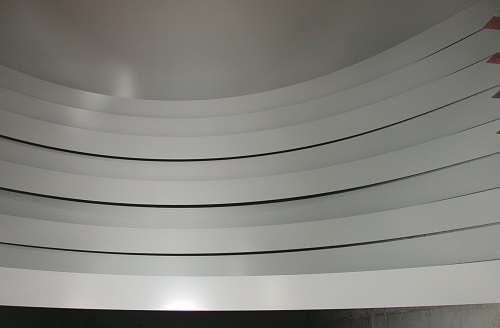 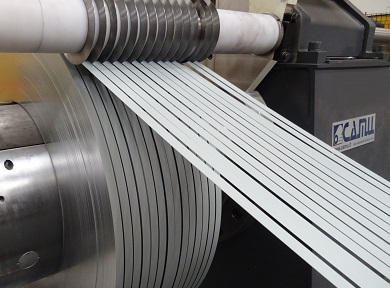 The materials that can be processed are: aluminium, copper, stainless steel, coated and special materials. 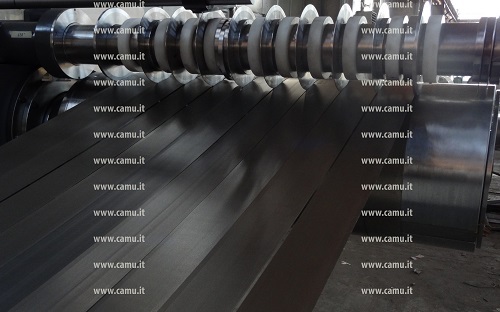 In order to favour the rapid change of production and the quality of cut according to the customer’s request, the kit of blades are customized. 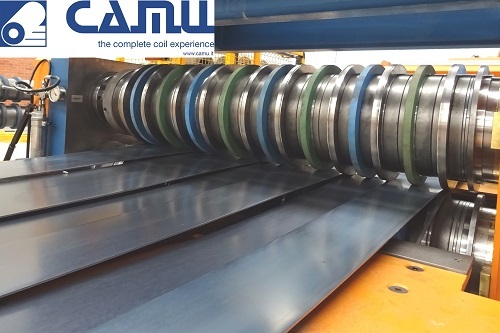 These lines are compact, they do not require any particular foundations, are easy to start-up and they satisfy completely the customer’s necessities of cutting and recoiling. 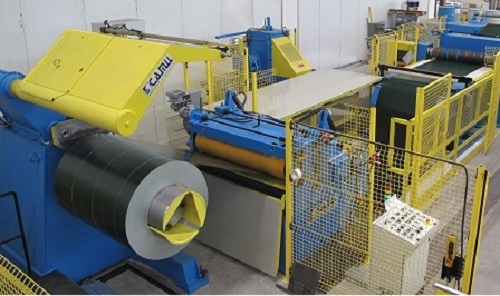 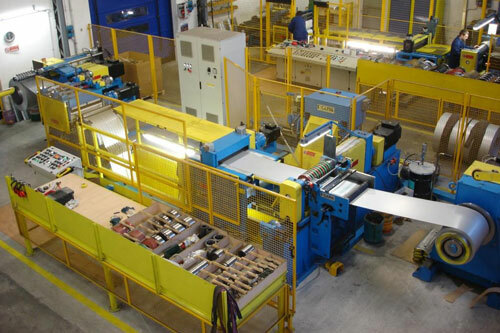 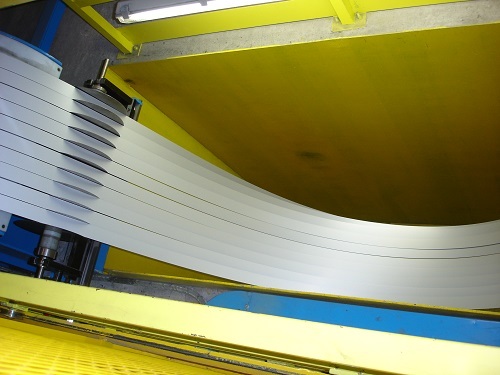 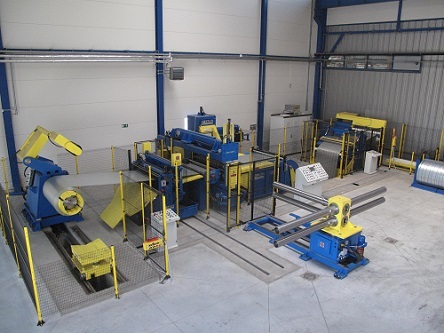 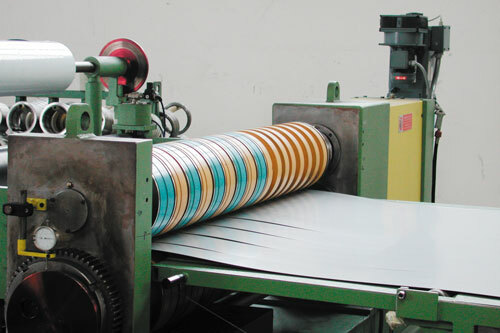 The mini slitter line can become an ideal support if the product includes a great variety of coils with reduced widths in which it is certainly not economical to use a large line for cutting coils under 300 mm and especially when very reduced spaces are necessary because of the product type. 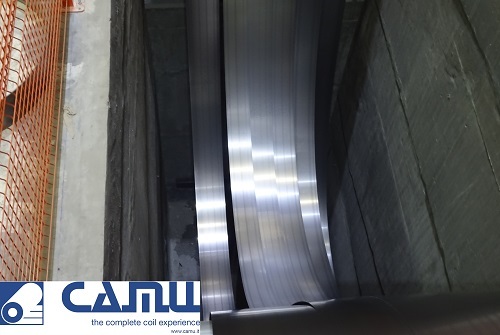 Furthermore, the mini-line makes it possible to reach considerable speeds, up to 500 m/min. 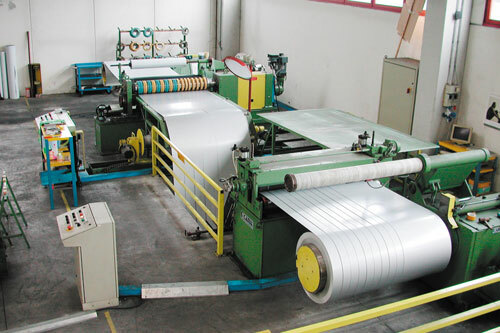 Other specifications: coil width from 300 mm to 600 mm, coil weight from 3 to 8 Ton, material thickness from 0.2 to 3.2 mm, and automatic decoiling by drawing or by loop. 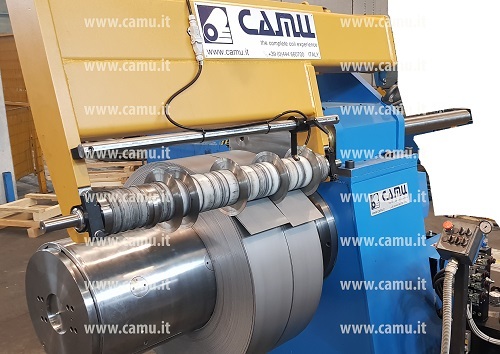 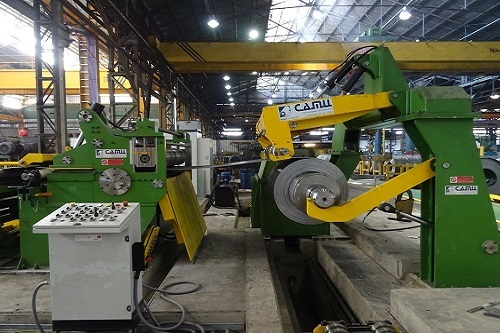 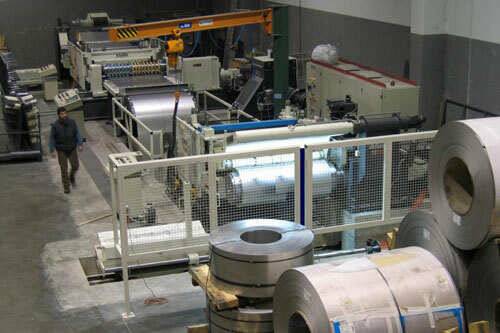 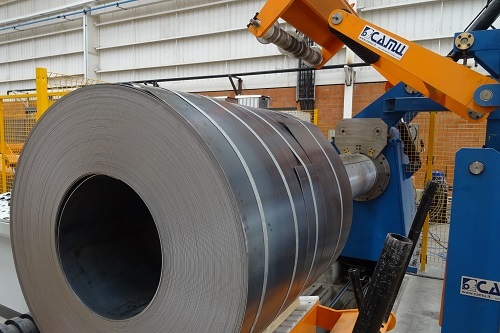 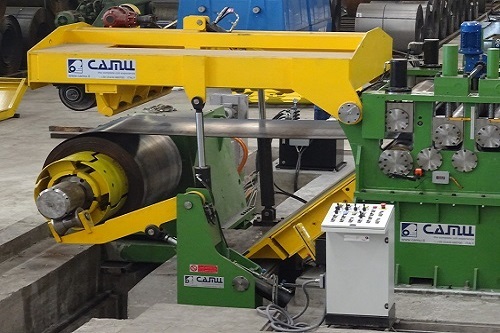 Recommended for producing narrow coils, but especially a fast line for small spaces and particularly suitable for brass, copper, aluminium, tinfoil and lamination steel but also for cold-rolled, galvanized and prepainted materials and stainless steel. 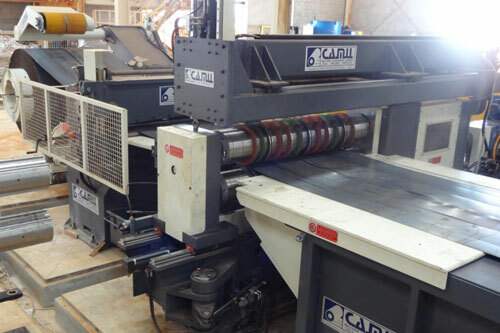 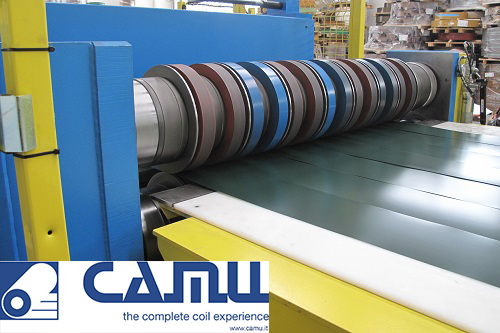 A high-speed and completely automatic line equipped with CAMU technology that permits production speeds up to 300 m/min. 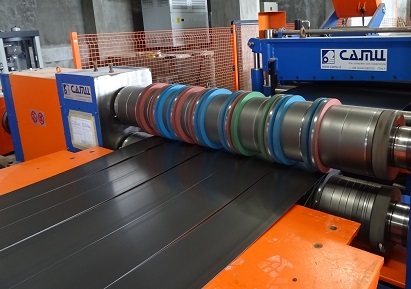 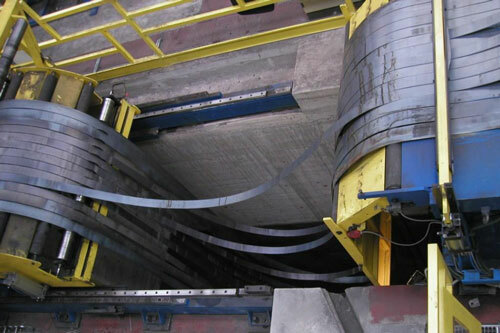 The line is normally composed of uncoiler, and infeed unit, a cropping shear, a circular blade shear, one or two loops, a tension unit, separator discs, a recoiler and an unloading unit. 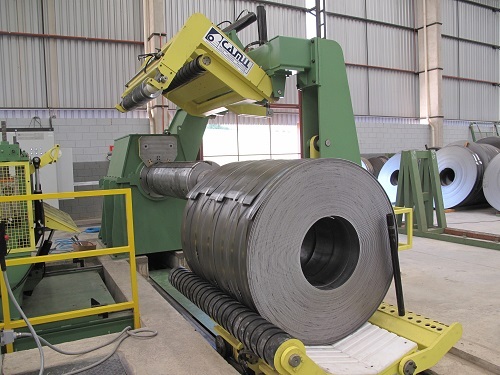 Other specifications: coil width from 600 mm to 1550 mm, coil weight up to 20Ton, material thickness from 0.2 to 2.0 mm, speed from 80 up to 300mt/min and automatic decoiling by loop. 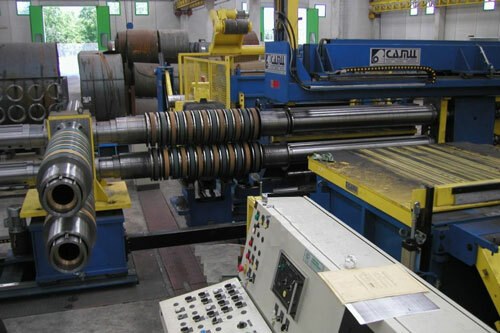 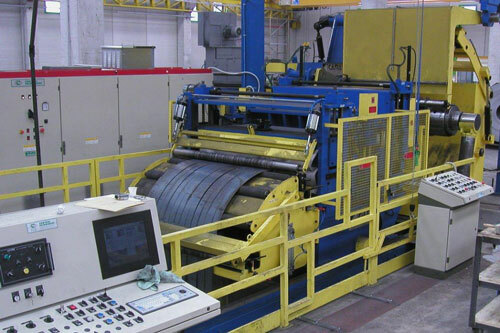 This type of line is particularly designed for service centres or for the subsequent production of tubes and open sections. 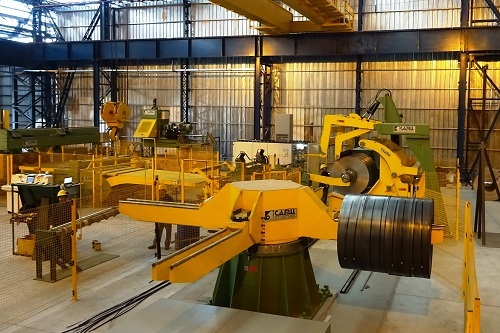 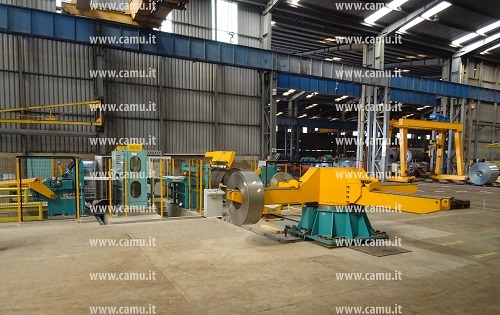 It permits a production speed of up to 200 m/min and is normally composed of a loading cradle, an infeed unit, pre-straightener, a facing shear, a circular blade shear, a loop, a stretching unit, separator discs, a coiler reel and unloading unit. 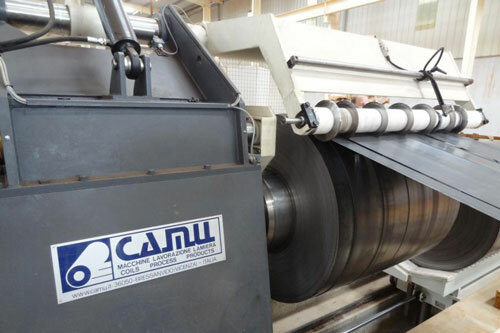 Other specifications: coil width from 800 mm to 1550 mm, coil weight up to 25Ton, material thickness from 0.8 to 4.0 mm, speed from 80 up to 200mt/min and automatic decoiling by drawing or by loop. 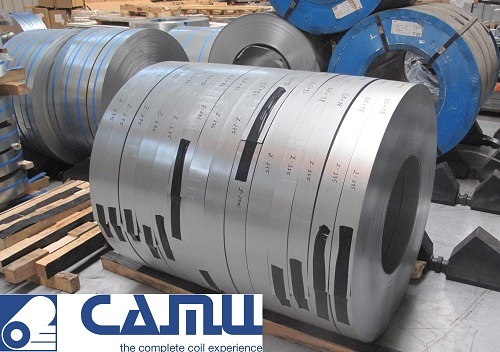 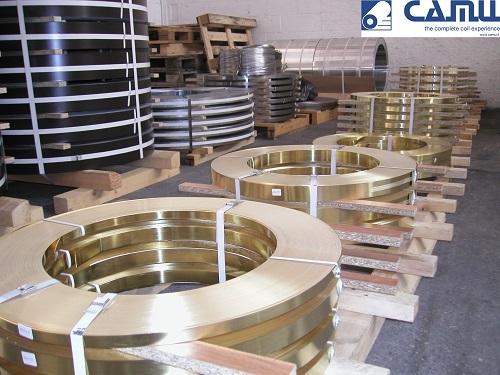 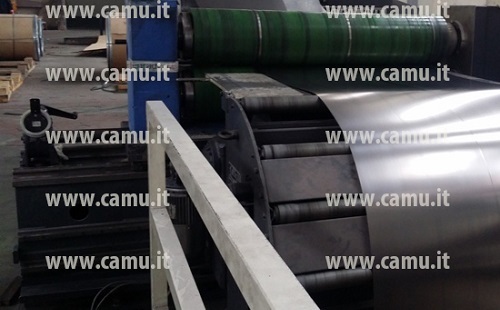 Recommended for important and big productions of medium thicknesses, but especially for hot and cold-rolled and high-strength material, galvanized and stainless steel. 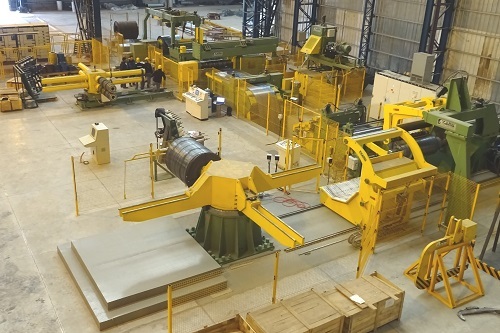 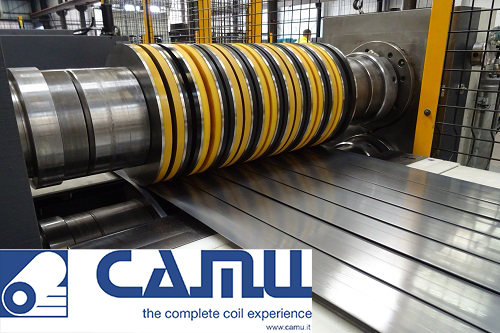 Particularly suitable for large service centres, this line permits production speeds up to 150 m/min. 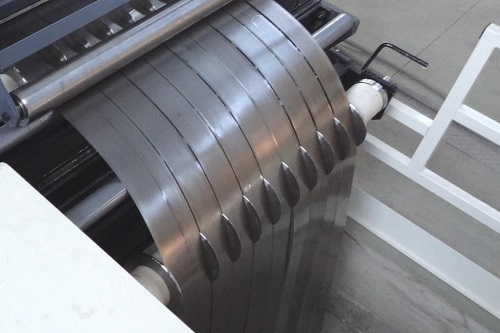 Completely automatic and synchronized to optimize production times, it is differentiated by its robustness and strength as well as by the high quality of the individual components, features that ensure the optimum quality of the end-product. 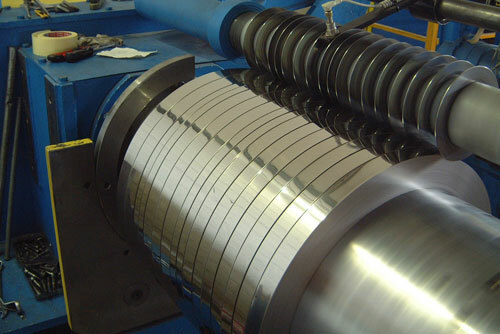 The line is generally composed of a coil park, a decoiler reel, an infeed unit, a stretching unit, a facing shear, a circular blade shear possibly with automatic blade changer, a loop, a roller tensioning and braking unit, a coiler reel and an unloading unit. 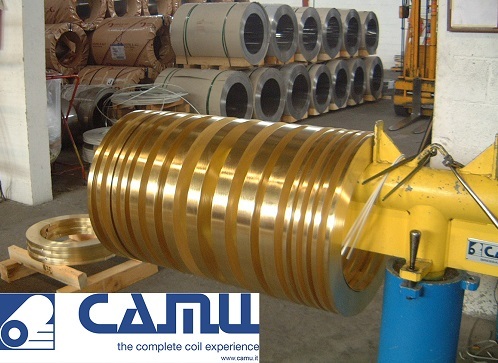 Other specifications: coil width of 800/1550/1830 mm, coil weight up to 30Ton, material thickness from 1.0 to 6.35 mm, speed from 150mt/min and automatic decoiling by drawing or by loop. 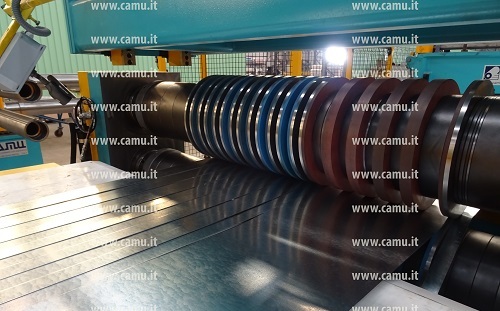 Recommended for important and big productions of medium thicknesses, but especially for hot and cold-rolled, stainless steel and high-strength material. 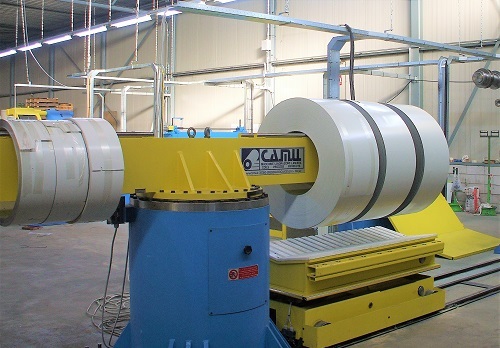 Normally used for the subsequent production of tubes and open profiles. 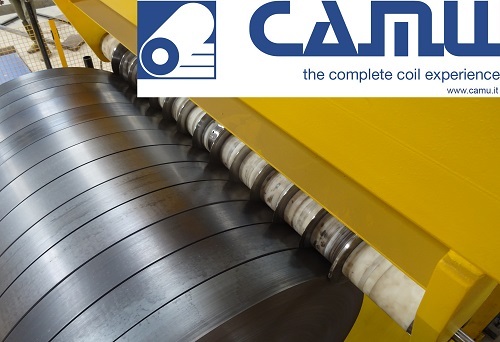 This product range requires reliability and its own specific strength as well as the use of particular technical and mechanical components that make it possible to machine large thicknesses at sustained speed. 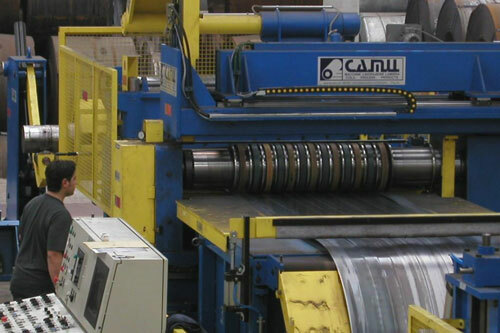 All the operations are clearly controlled and effected by automatic and hydraulic systems. 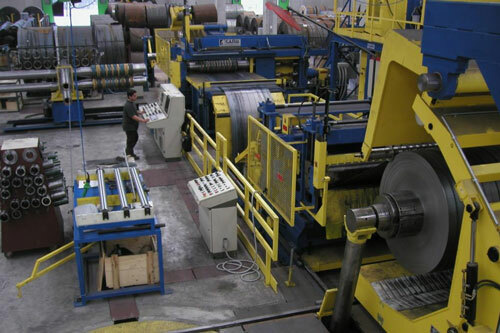 It is generally composed of: a coil park, a decoiler reel with bridge-type presser, a bridge-type infeed unit, a stretching unit, a facing shear, a circular blade shear possibly with automatic blade changer, a loop with tables, a tensioning unit, a roller braking unit, a coiler reel and an evacuation and unloading unit. 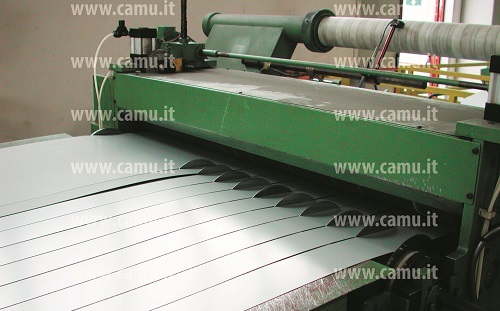 Other specifications: max coil width of 2200 mm, coil weight up to 35Ton, material thickness from 1.5 up to 12.7 mm and from 2.0 mm up to 16.0mm, speed up to 40-80mt/min and automatic decoiling by drawing or by loop. 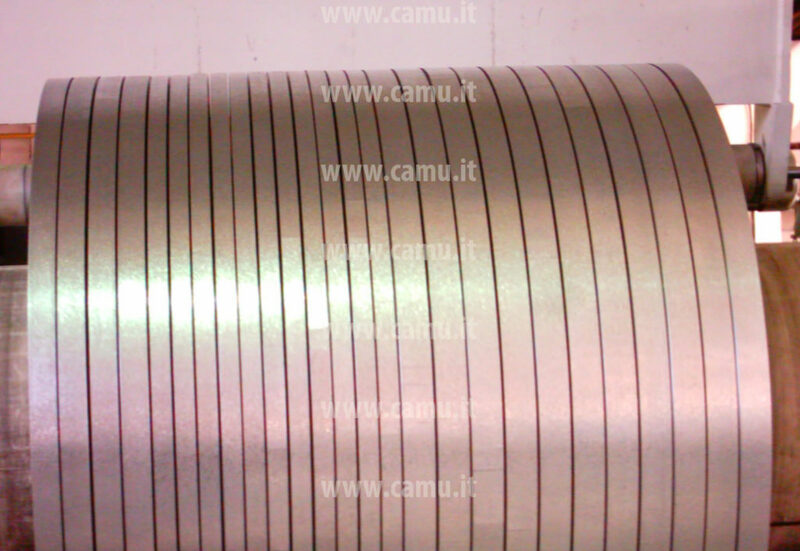 Recommended for important and big productions of high thicknesses, but especially for hot and cold-rolled, high-strength material. 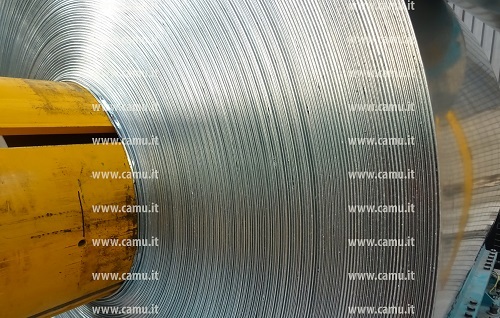 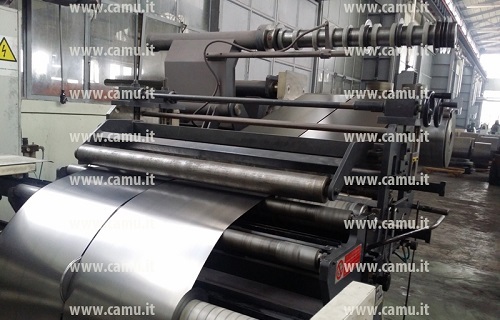 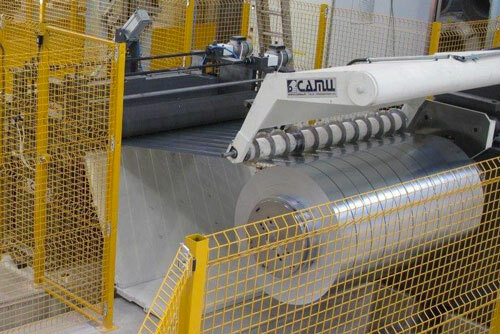 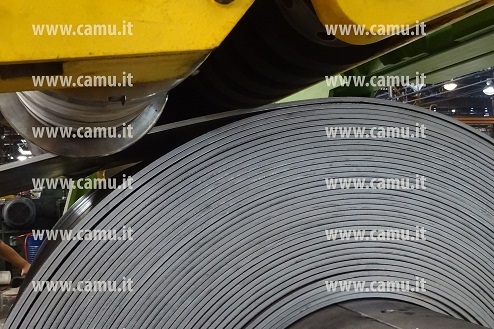 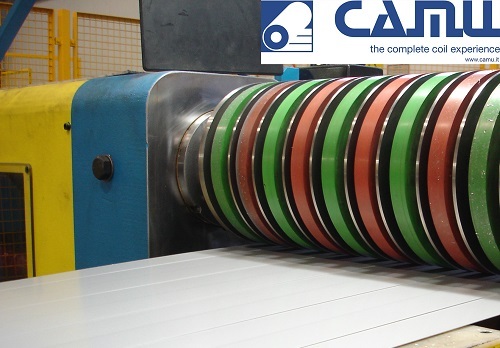 Camu lines have a modular design and are intended to work with different types of materials. 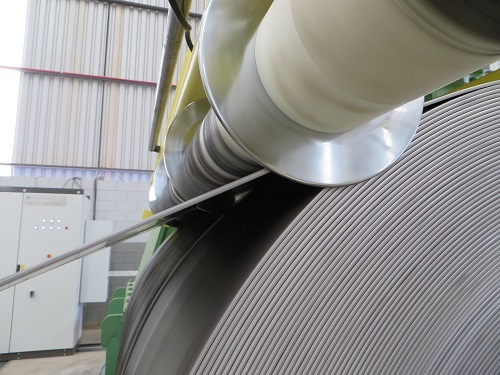 Please note that it is highly recommended to carefully clean the line before changing into a different type of material in order to ensure maximum efficiency and avoid any marks or blemishes on the end product. 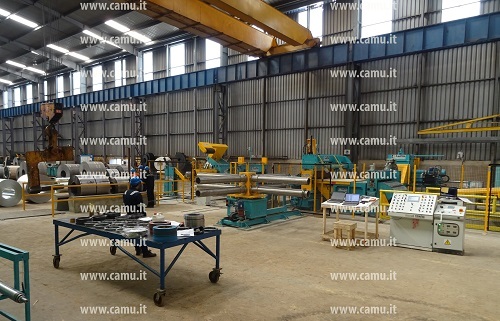 (*the description is for exemplificative purposes; the technical office is available for studying the most suitable solution on the basis of specific needs). 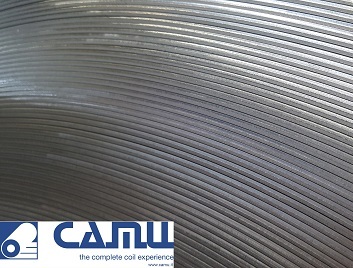 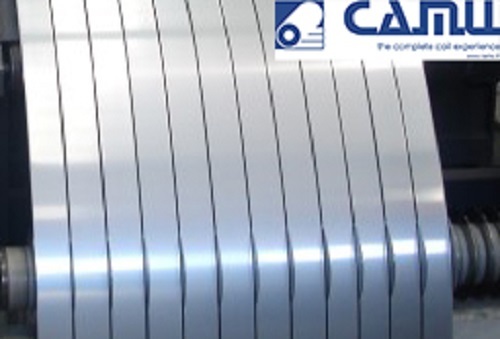 The experience acquired in over 30 years of activity makes CAMU a solid reference point today in the sector for the machining of delicate materials such as prepainted ones and stainless steel that require particular attention during the entire machining process, especially as regards levelling for which 4H and 6H levellers are used.